This is one of those books that have been sitting on the shelf for years, waiting to be read. I knew I’d get to it eventually… and now I have. With three hours of study time a day at L’Abri, I did a lot of reading. From serious Christian texts to murder mysteries to memoirs to classics, I covered a wide variety of books. I feel head over heels in love with Dorothy Sayers, Anne Lamott, and C.S. Lewis–to name a few. A few weeks ago, I had scheduled a meet-up with a friend in a nearby town. I left early to make time for shopping (because Target is a beautiful, beautiful place) only to receive a text pushing back our meeting time. Of course, when I get stuck with half an hour of extra time is the ONE TIME I FORGET TO BRING A BOOK. I remedied this by spending a long time shopping and picked up a book that’s been waiting patiently on my “To-Read” list for quite a while. That, friends, is how I ended up with Mindy Kaling’s first memoir on my shelf. Summary from Goodreads: Mindy Kaling has lived many lives: the obedient child of immigrant professionals, a timid chubster afraid of her own bike, a Ben Affleck–impersonating Off-Broadway performer and playwright, and, finally, a comedy writer and actress prone to starting fights with her friends and coworkers with the sentence “Can I just say one last thing about this, and then I swear I’ll shut up about it?” Perhaps you want to know what Mindy thinks makes a great best friend (someone who will fill your prescription in the middle of the night), or what makes a great guy (one who is aware of all elderly people in any room at any time and acts accordingly), or what is the perfect amount of fame (so famous you can never get convicted of murder in a court of law), or how to maintain a trim figure (you will not find that information in these pages). If so, you’ve come to the right book, mostly! In Is Everyone Hanging Out Without Me?, Mindy invites readers on a tour of her life and her unscientific observations on romance, friendship, and Hollywood, with several conveniently placed stopping points for you to run errands and make phone calls. Mindy Kaling really is just a Girl Next Door—not so much literally anywhere in the continental United States, but definitely if you live in India or Sri Lanka. This book has zero substance, but is absolutely delightful. I found myself unable to put it down. During the three days it took to finish, I felt like Mindy Kaling was my best friend. Which is a bit odd because we have next to nothing in common and I’m not really a comedy fan. I suppose I enjoyed this book for the same reasons people like magazines and celebrity gossip: It gives me insight into a world completely removed from everything I know. I’m not obsessed with fashion trends and the Hollywood lifestyle, but reading this was just interesting! My favorite part is that Kaling’s stories lack the glitz and glamor of tabloids. They’re honest, imperfect tales of how to make a name for yourself in a highly competitive career. Most of these chapters are stories and Kaling is good at telling them. She talks about her childhood, her body image, her college life, early career, and her big break writing for The Office. Some chapters are just lists, like “Types of Women in Romantic Comedies That Are Not Real”, “Non-Traumatic Things That Have Made Me Cry”, and “Revenge Fantasies While Jogging”. There’s even a whole chapter of narcissistic photos from her phone, which made me laugh. Kaling is relatable. We’re completely different in background, trade, and personality, but I still felt connected. She isn’t afraid to point out her flaws or make fun of herself. I feel like most girls, including myself, struggle occasionally (sometimes more than that) with body image and reading Kaling’s tales of being an average-sized women in Hollywood were really encouraging. What a wonderful pat-on-the-back for nerdy kids like me. This is a fun read. It doesn’t make you think very hard, but made me laugh and gave me a glimpse into a life very different than my own. Check out my On the Shelf page for more reviews! Apparently, I’m on a Brandon Sanderson streak. 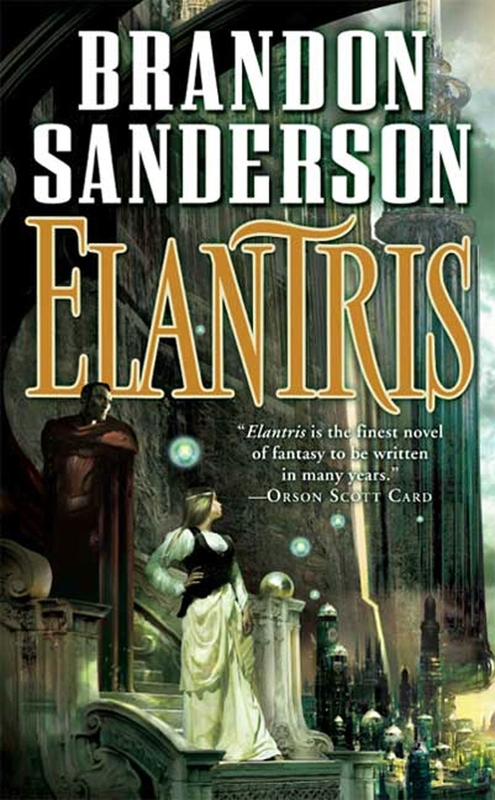 Summary from Goodreads: Elantris was the capital of Arelon: gigantic, beautiful, literally radiant, filled with benevolent beings who used their powerful magical abilities for the benefit of all. Yet each of these demigods was once an ordinary person until touched by the mysterious transforming power of the Shaod. Ten years ago, without warning, the magic failed. Elantrians became wizened, leper-like, powerless creatures, and Elantris itself dark, filthy, and crumbling. This was a quick read. I started on a Thursday and finished it by Sunday. Most of what I had to say in my discussion of Sanderson’s Mistborn Trilogy rings true here. Sanderson is massively talented when it comes to world building. His characters tend to be politically minded and the atmosphere he creates is diverse and realistic. I can tell that this is his first published work, though, because although the world is a good one, it could use more depth. I got the sense that all the countries and cultures had differences, but I didn’t quite know what those were. The biggest strength was the allure of the fallen city of Elantris and I enjoyed watching Raoden discover its secrets. As far as pacing goes, this book could be a lot tighter. At one point, the focus was on rebuilding society within Elantris. At another, it was on overthrowing the king of Arelon. A few chapters later, the massive problem were fighting off the invading religion. Then, suddenly, the characters rebuilding Elantris were doing completely different things. The focus kept changing, which I found distracting. There were also pages upon pages where it felt like nothing was happening. Although I liked the characters for the most part, they felt a bit too perfect. I’ve noticed Sanderson favors political idealists who have an intrinsic ability to lead and lead well. Raoden and Sarene were like this. They were so good at politicing that they didn’t feel real. They also lacked major flaws. Raoden was more interesting, as an Elantarin, his body couldn’t heal, but couldn’t die. Any scratches or injuries were permanent, leaving him in constant and growing pain. Sarene, though, was really cool, but also boring. She had all the makings of a “good” heroine–outspoken, strong, intelligent, good ad fencing, etc. But she was too stereotypical and really had no weaknesses, unless you count being crap at painting and embroidery. Her struggles mainly came in the form of loneliness–because being so strong and independent isolates you from others. I felt bad for her because she had pinned all her romantic hopes on her marriage with Raoden only to have them shattered. But, besides that, she was difficult to relate with. Elantris was an enjoyable read, but I didn’t fall in love. Check out my On the Shelf page for more reviews and stop by my post on Sanderson’s Mistborn Trilogy as well! This book was a lucky find and Goodwill. Normally when I buy books secondhand, they sit on my shelf for years waiting to be read. I picked this one up right away and am very glad I did! 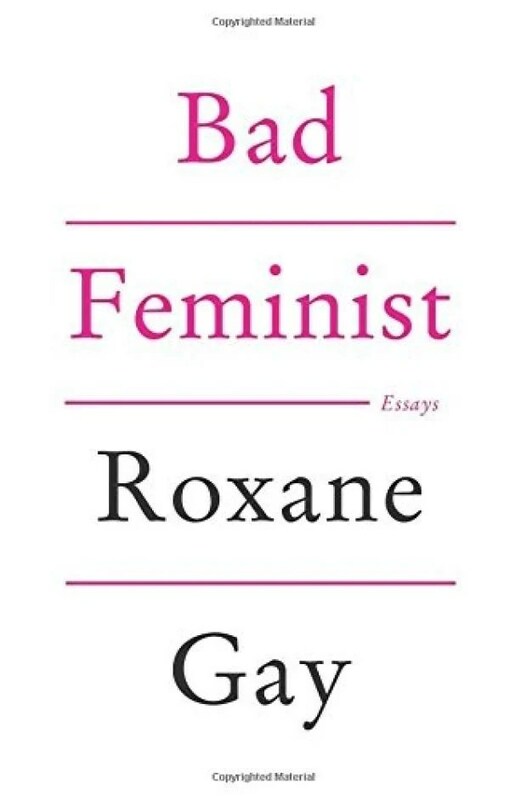 Summary from Goodreads: In these funny and insightful essays, Roxane Gay takes us through the journey of her evolution as a woman of color while also taking readers on a ride through culture of the last few years and commenting on the state of feminism today. The portrait that emerges is not only one of an incredibly insightful woman continually growing to understand herself and our society, but also one of our culture. This is not a perfect book. The cover says it’s a collection of essays and, in a way, it is. Each chapter gives Gay’s thoughts on different subjects. If you’re looking defining essays by formal, academic standards however… this book falls short. But falling short of academia does not mean that it has no value. I loved this book. My time within its pages felt less like reading a book and more like having a conversation with Gay over a cup of tea. Her voice is informal and engaging. She covers a wide variety of topics in this book, some relating to feminism and others not relating to it at all. I love the honesty of this book. Gay openly acknowledges her contradictions because that’s part of being human. She’s not consistent at many points, loving aspects of pop culture that directly oppose everything feminists stand for. But she doesn’t shy away from her contradictions. She embraces them. I didn’t always agree with everything Gay said. At times, she even had me squirming in my seat with discomfort. But this isn’t a bad thing. I’ve learned to see challenges to my opinion as extremely valuable. They teach me to see things from a perspective may not be my own, but is still valid. This is what this book did for me. This book was, at points, incredibly serious. But, at other points, it was fun. I appreciated the chapter about Gay’s time playing competitive Scrabble. I also liked her discussion of The Hunger Games, even if it was relatively shallow. All in all, I really enjoyed Bad Feminist. It took several weeks to read, but was well worth the time. This book challenged and pushed me to see the world from an individual who is very different from myself. But it also had me nodding, agreeing, and even laughing at points. It’s been far too long since I’ve read a fantasy trilogy. 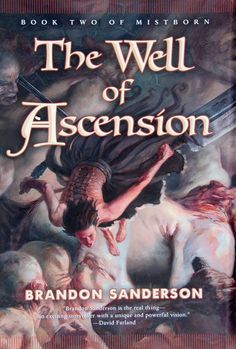 Brandon Sanderson’s name seems to be cropping up everywhere lately–from fellow bloggers to my brother. 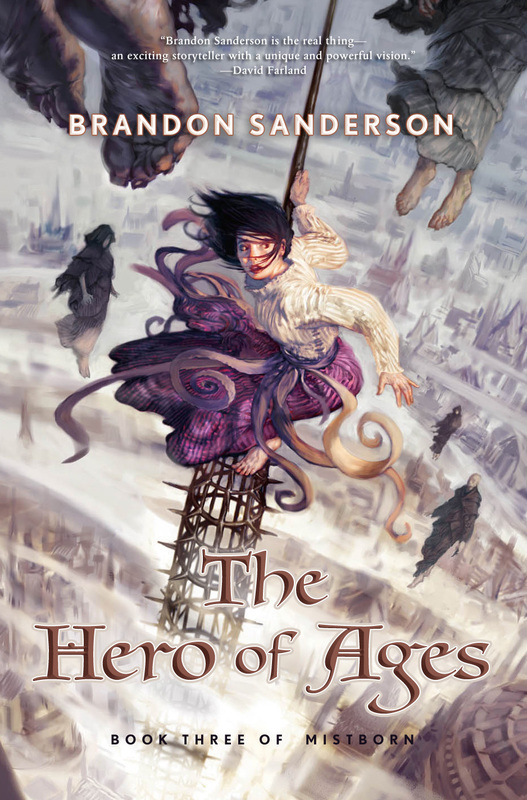 After poking around his different work on Amazon, I settled on the Mistborn Trilogy. (My main motivation was that I could buy all three in a package on my Kindle for relatively cheap.) I feel weird lumping three books into one post, but don’t have time to discuss them individually. I actually finished the third book last night and DANG. What an ending! Summary from Barnes & Noble: Brandon Sanderson, fantasy’s newest master tale spinner, author of the acclaimed debut Elantris, dares to turn a genre on its head by asking a simple question: What if the hero of prophecy fails? What kind of world results when the Dark Lord is in charge? 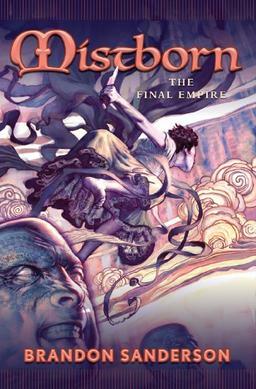 The answer will be found in the Mistborn Trilogy, a saga of surprises and magical martial-arts. I realize that the summary isn’t very helpful. I usually use summaries from Amazon or Goodreds, but there just weren’t any good ones out there. The first thing I can say about this series is that it hooked me immediately. This is my first exposure to Sanderson, but it didn’t take long to see he is a master at world building. These books take place in an empire where the ash falls from the red sky, plants are brown and shriveled, and the land is covered in mysterious mist at night. The majority of the population, known as skaa, are enslaved by the mysterious Lord Ruler and oppressed to the point where they don’t even try to fight. Until one man, Kelsier, “snaps” and discovers he has the powers of a Mistborn. Mistborns can consume and burn metals in their stomachs, which results in a bunch of super cool powers. Despite impossible odds, Kelsier has had enough of oppression and assembles a team of thieves and begins a plot to overthrow the Lord Ruler. Along the way, he recruits Vin, a young, distrustful street thief and fellow Mistborn. As I said, Sanderson’s world building is fascinating. The whole feel of his universe is so foreign that it’s compelling. As the series goes on, he reveals more about the world’s history, religion, and systems of magic. It’s all very well developed and engaging. Sanderson is also an excellent planner. He inserts seemingly insignificant details early on that frequently become huge plot points. For the most part, the narrative structure is a little slow, but solid. Hundreds of pages of exposition pass that aren’t uneventful, but not necessarily important. Sanderson builds his story brick by brick and delivers a smashing climax. Once you reach the last hundred and fifty pages, you can’t put the book down. Although I am deeply attached to all the characters, the biggest weakness of these books is that the emotional components fall flat. We know that certain characters have chemistry, but I rarely FELT it oozing through the pages. I wouldn’t go so far as saying interactions feel forced, but they certainly lack depth. Even in the poigniant, significant moments, the dialogue is lacking. What Sanderson lacks emotions and dialogue, he more than makes up for in action scenes. The series is filled with satisfying fights, chases, and show-downs. As a reader, I’m usually hard to surprise. With most books, movies, and television shows, I can see the ending a mile away. These days, just watching a trailer or reading the back of the book tells me exactly how the thing ends. This trilogy didn’t shock me at any point, but it definitely kept me on my toes! Each chapter had me wanting more, wondering what would happen next. Sanderson frequently flips the tables–taking actions we perceive as good and twisting them. By the third book, he had me eating out of his hand, second-guessing everything. This doesn’t happen often and, boy, what fun it is! One of the salient themes throughout these books is power. When dealing with overthrowing empires and re-establishing rule, lots of questions are asked. What makes a good ruler? Where is the line between giving people power and taking it for the greater good? Do people prefer enslavement because it’s easier? Can people even rule themselves effectively? Lots of politicking goes on and one thing Sanderson makes very clear is that, despite an overarching battle between the polar forces of Prosperity and Ruin, there is no black and white. Even the most honorable characters are proved hypocrites–which I love. Other important themes include love and trust. One of my favorite characters is a man named Sazed, whose job is collecting and keeping safe the history of hundreds of dead religions. Through Sazed, Sanderson explores the importance and role of faith. Overall, I REALLY enjoyed this series. I’m a big fan of well told stories and these books fit the bill! They’re excellent brain candy. I’ll definitely be reading more of Sanderson’s work in the future. You Will Like This Book If You Enjoy: Fantasy, engaging stories, world building, magic, action. I believe this is from the Brazilian edition of the series. Source: Google images.